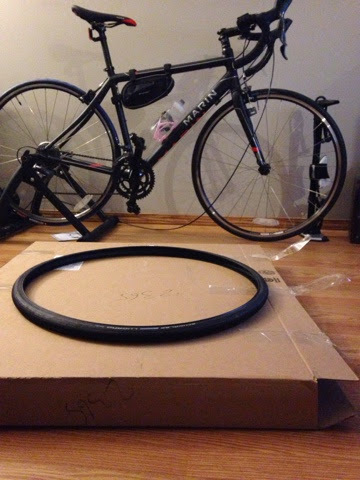 I can finally start cycling indoors!! I know very little about cycling... but I figure there is no better way to learn about it than to just do it! A couple days ago I got online and starting looking into different types of training tires for indoor trainers and I ended up with this blue rimmed gem. I still know very little about training tires, but at least this is a start. Let the living room sweaty-session begin! Let's just say shipping isn't cheap... I wish I had a cardboardy craft to work on.